Poland abounds in places that draw tourists with qualities other than pristine nature, scenic views or beautiful architecture. One such area is called Zagłębie, a place once celebrated for its heavy industry. 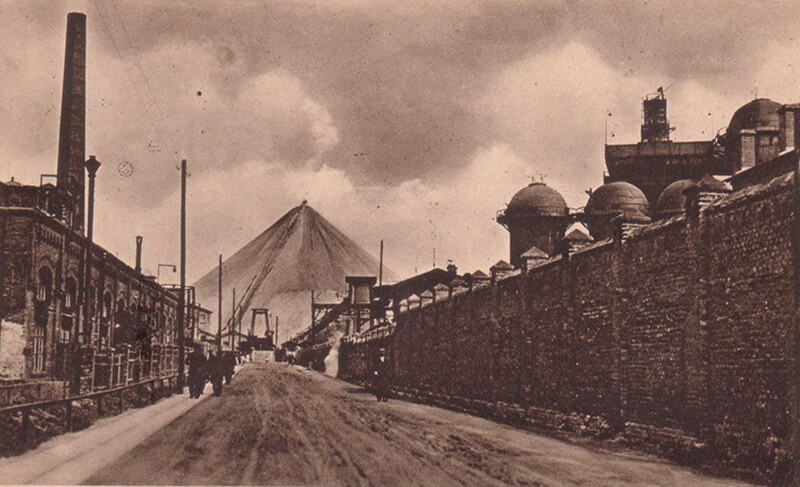 The local mines and steelworks saw the rapid growth of housing estates of Będzin, Sosnowiec, Dąbrowa Górnicza and Czeladź in the decades spanning the 19 thand 20th centuries. We have frequent enquiries to tour the area. Before 1939, the agglomeration boasted a population of several hundred thousand inhabitants, including a massive Jewish community. The daily labour of heavy industry was no obstacle for the Jews of Zaglembie to develop a diverse cultural and political life. Będzin and the area chiefly attract the descendants of Holocaust survivors and grandchildren of interwar emigres, who fled Poland from famine and unemployment. The passage of time, the ravages of war and the barbarian policies of Communist Poland notwithstanding, the cities in the area still boast a number of locations with a vibe of the former Zagłębie and its people. And last but not least : two uniquely surviving former prayer houses : “Mizrachi” opened 100 years ago and a place called Cukerman’s Gate, discovered and operated by a group of local residents, dedicated to preservation of Jewish heritage in Zaglebie. places connected to local heroes: Wladyslaw Szpilman, a Sosnowiec-born Jewish composer born, and Jan Kiepura, the most celebrated singer of prewar Poland. football stadium in Mireckiego Street, Sosnowiec Umschlagplatz, or the place of round-up of local Jewish citizens before their deportation to the camps. The site recently commemorated with a monument.